Size: 13 in. wide X 8.5 in. tall (33 cms X 21.5 cms). Express your appreciation for one of nature’s most unique and beautiful animals by adding to your collection this highly detailed and painstakingly hand-painted artwork. 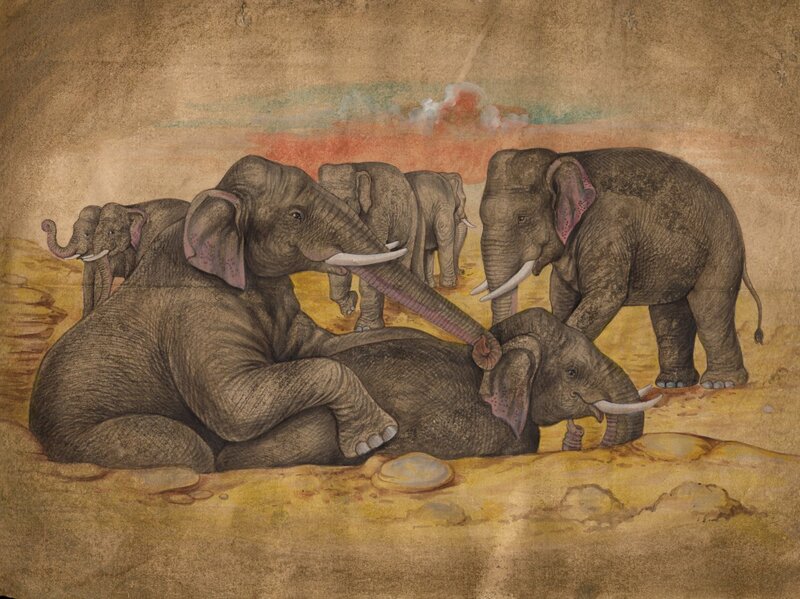 This realistic looking pack of elephants is sure to showcase your good taste in fine art. This nature painting will make a perfect addition to your wild life art collection or serve as a perfect gift. Don’t miss out on this exclusive Indian wildlife miniature artwork! Get it today.